I wanna start by letting my fellow bloggers know that I’ve not been avoiding you all! I’ve just not been doing a good job of bloghopping lately because I’m still having dental problems (here’s the latest update about that—basically I’ve already been to 9 appointments and still have at least 10 or 11 more at the very minimum, including at least one minor surgery, but it’ll probably turn out to be more than that). So I’m rundown, my tennis elbow has been really bad, there’s hardly any food I can eat due to food sensitivities flaring up, I’m having trouble focusing—basically I’m just falling apart :-/ So for the time being, I’m pretty much just returning visits and comments to those who leave a comment here. That’s the best I can do. Other than that, I don’t really have real life news. I hope everyone else has been doing well though! Lots of stuff to share today! Somehow—seriously, guys, I don’t know how little ol’ me got chosen—I have become a Fan Ambassador for S.A. Chakraborty’s Daevabad series! So I have a shiny new ARC (literally shiny, I might add) of The Kingdom of Copper! Plus I’ve got some copies of City of Brass to give to people! Some of them I’ll probably just give out locally, but I would like to have a US giveaway for one or two. So I’ll make an announcement about that soon! More good news, I won a $5 Amazon gift card from Daniela @ Bookiverse for correctly (or close enough to correctly) guessing where her WIP is set! Thanks, Daniela :-) Her WIP sounds like it’s gonna be a great book! This is completely random, but I posted a headcanon about Hans from Frozen here on Tumblr. Thought I’d share just in case anyone wants to read it. Last but not least, my 2019 blog schedule template spreadsheet is now available for download here. 11/11/18: Spell Caster is from the author. Binding Blood is from NetGalley. Songs for the Dead Vol. 1 is from Edelweiss. Trust is from the author. 11/18/18: Showers, Flowers, & Fangs is from the publisher. 11/25/18: The Ex-Princess is from the author. As I said, trouble focusing. Didn’t get a lot of reading done in the past month. It’s especially bad when you realize one of these is an audiobook, and one is a graphic novel. 11/11/18: Spell Caster was great! 11/18/18: The Nine started off slow, but I eventually warmed up to it and enjoyed it. Songs for the Dead Vol. 1 was cute. Cupcakes etc. is one that I’ve already read, and I enjoyed it originally, but the whole series was going to be a little too expensive for my budget. Hoopla has a lot of the audiobooks though, so I figured I’d give them a try. 11/25/18: I didn’t enjoy The Fall quite as much as The Nine, but it was a personal taste kinda thing. 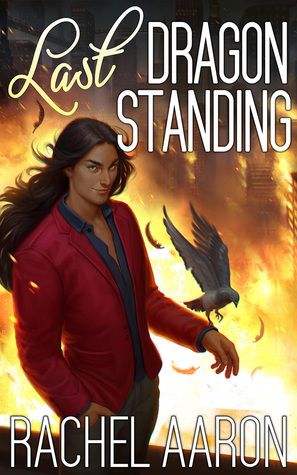 12/2/18: Beckoning Blood was a reread in preparation for the final book of the series, and it’s really a fantastic book! I don’t have the game myself, but watching others play allowed me to see it and saved me arm pain since my tennis elbow has been super bad. I gotta say, I also really liked Joseph’s playful and vulnerable sides, but, even if the cult ending is not canon, he seemed possibly kinda shady. This game is so ridiculously fun!!! I’ll do a whole review soon, so for now I’ll just say I killed my arms just to keep playing because it is the one thing that has truly given me a distraction from my problems lately. I recommend it 100%! – I reviewed Spell Caster by Clara Coulson, another great book in a great, fast-paced, diverse UF series. 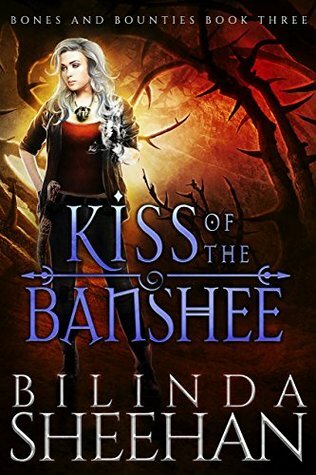 – I gave recommendations for 5 sci-fi/fantasy book with no romance. – I shared book covers featuring POC characters. – I found an awesome-looking LGBT+ fantasy graphic novel on Kickstarter, and the creators shared some fun facts. – I did a character interview to celebrate the release of Waypoint by Deborah Adams & Kimberley Perkins. – I reviewed Beckoning Blood by Daniel de Lorne, an amazing, dark beautifully written m/m vampire book. Found any good books or games lately? Ooh I bet that Kingdom of Copper ARC looks amazing. And congrats on being selected! I remember thinking City of Brass looked pretty awesome too. LOVE that cover of The Nine. all greenish- purplish- turquiosey whatever. And what is West of Loathing? Ack Wild West, a frosty mug and stick people? I must go see what this is lol. Originally I didn’t like the orange and blue, but in person the book is so pretty! The Nine does have a pretty cover too! Dude, it’s such an amazing and hilarious game! You are doing amazing. Don’t beat yourself up because you have limitations right now. Best of luck with the rest of your long dental road. Where do you find all these games? LOL. At least you’re doing great in the book department! Isn’t it awesome when you manage to be in an author’s street-team (or anything alike)? You feel like you’re doing something to spread the word, which to me is the best feeling. Personally, I’m not the right target for a historical/fantasy series, but it does sound solid! Mostly browsing around, but West of Loathing I happened to kind of stumble upon on YouTube watching someone else play, and it just looked like so much fun that I had to have it! I was so excited when I got the email! It's a great series, but I can understand if it's not to your taste! I’m so sorry you haven’t been feeling well lately! I hope things start turning around soon. The Ex Princess looks like a very fun read! Thank you <3 I'm really excited for The Ex-Princess because it also has chronic illness rep! Thank you <3 City of Brass is great, I hope you like it! I LOVE your photo of the City of Brass stack! So sorry to hear you’re still going through the tooth issues. I hope it gets resolved soon! <3 Definitely don't stress over not commenting back or blog hopping, I'm sure everyone understands! Tooth pain is no joke. I am sorry to hear you’re still struggling so much with your health and that you have so many more dental appointments still to go. That sounds awesome you got picked as a fan Ambassador! And yay for winning an Amazon gift card. I thought that Cupcake book would be an cozie from that cover, but Amazon says it’s UF, either way it sounds interesting and I grabbed a copy as it was free. I was so excited to get to be a fan ambassador! And gift cards are always great. Yeah, I would say it's more urban fantasy even though it does maybe have some elements of cozy mystery. The second one doesn't have that kind of mystery though. I am terribly sorry to hear about all your medical woes. I really hope they can get you some relief soon. Congrats on the win. I LOVE Amazon gift cards. It sounds like you’ve been having a rough time. I’m sorry! That’s so cook about being chosen as a fan ambassador! I snagged a. ARC of Kingdom of Copper from work but it’s nowhere as pretty as your copy! I'm so excited about being a fan Ambassador! Aww I'm sorry your copy isn't as pretty :-/ but at least you'll still get to read it! I love your Kingdom of Copper pic! I hope you’re able to finally find someone competent for your teeth issues. I just had to go to the dentist and I was nervous because our old one retired and this was first time dealing with the new guy but luckily he was wonderful. If not, better. Thank you <3 I'm glad you've found a new dentist who's great! Thank you <3 Ha, the Sims is so weird, I love it! All that dental sounds like a nightmare. Sending positive vibes your way that it will be over as soon as possible. Your Kingdom Of Copper is a beautiful book! Gotta love shiny! Thank you :-) The shiny is so pretty! Thanks! I’ve just started KoC, and it’s great so far! Thank you <3 I was excited when I got offered Trust because I haven't been able to find books about centaurs! Wow, I’m so sorry to hear that your dental woes are continuing. Sending lots of positive vibes your way that it gets resolved sooner rather than later. Congrats on being selected as a Fan Ambassador for S.A. Chakraborty’s Daevabad series. That is so cool! I was so excited! Thanks! Thanks <3 It does sound good, and it has chronic illness rep! I’ve had a really hard time getting to bloghopping lately as well. (I think that’s pretty obvious from the fact that I’m just now seeing this post 12 days after you posted it.) It’s just really hard to balance everything, and sometimes you just can’t do everything, even when you sincerely want to. I just went and checked out your Hans headcanon post. I never even considered the idea that Hans had good intentions to start with, but you make some very good points (especially about the way he looks at her at the beginning when no one’s watching). Don’t we can both just be terrible a bloghopping together LOL. I don’t know, it’s just what has always made the most sense to me. I read A Frozen Heart, which does give his POV, but it honestly didn’t make much sense and felt like all the fan theories smooshed together into a book. So I’m sticking with mine LOL. It is a really cute and delicious-looking cover! Yeah but then you make up for it by leaving so many comments LOL. Thank you <3 <3 <3 Hopefully I'll get some more people to read the City of Brass!